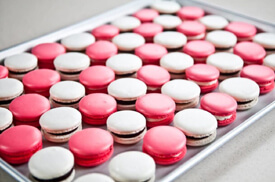 Have you ever wondered how to make French Macarons with buttercream? If you want to test your pastry skills, this is the class for you! This class also includes recipes for Smoked Salmon and Goat Cheese Canapé.